Our Pellamar products for oral hygiene are free of fluorides, parabens, pigments and artificial flavors. The PELL AMAR extract contains minerals – Ca2 + PO43 – as a role in enzymatic processes of cleavage of calcium glycerophosphate; Mg2 + Cl – as alkaline phosphatase activators, these processes being responsible for tooth remineralization and contribute to the prevention of enamel lesions and the prevention of caries. Anti-inflammatory and healing action helps maintain healthy gums. Bacteriostatic action has the ultimate effect of eliminating acid in the dental plaque, due to the presence of bacteria adhering to the surface of the teeth (Streptococcus Mutans, S. Sobrinus, S. Sangius). Chamomile extract – with healing, antiseptic, emollient, anti-inflammatory, deodorizing, slightly anesthetic action. Echinacea extract – effective in treating heavily healed lesions, herpes lesions, local infections, scarring and antiseptic, while stimulating natural immunity. We have opted for a fluoride-free formula to reduce the risk of fluoride-related disorders (hypothyroidism, osteoporosis, etc.). Toothpaste contains gentle abrasive that does not damage gums and tooth enamel. 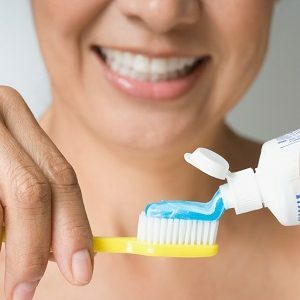 Buy the best oral hygiene natural products: Organic Anise Toothpaste, Organic Mint Toothpaste, Mouthwash.